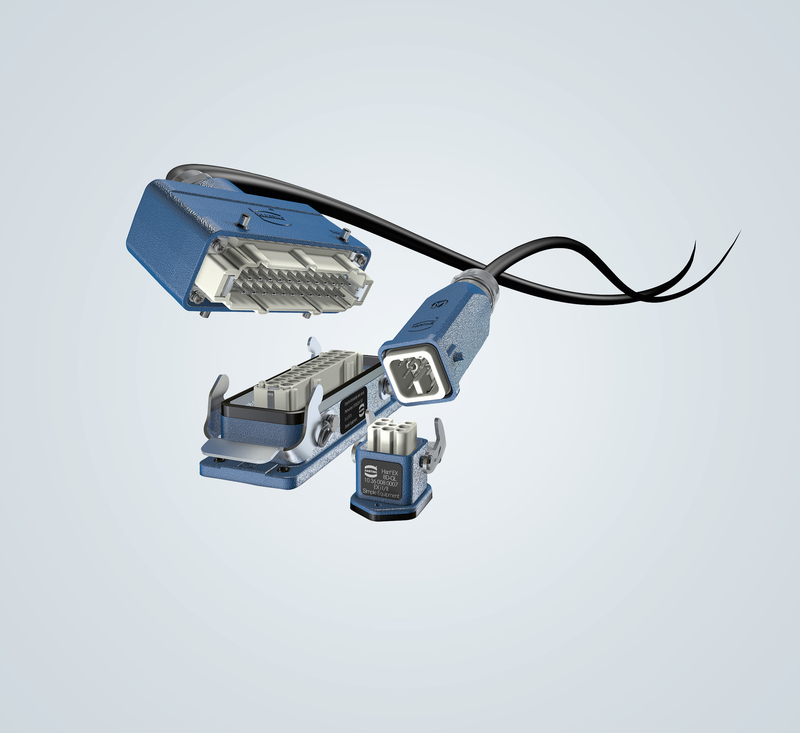 The Han Ex series of connectors from Harting are available for use in hazardous and explosive environments. Since spring 2017, connectors have been available in all sizes in the Han Ex series for explosive atmospheres – meeting US standard NEC 500. These housings are permitted for use in Class I, Division II hazardous locations. This product range for the North American market includes inserts and housings from sizes 3A to 24B. Like all Han Ex connectors, they ensure protection class IP65 when plugged in. Their blue colour is for easy identification of inherently safe circuits. The Han Ex series’ contact inserts provide a high number of poles in the smallest of spaces. Up to 24 contacts can be located in the size 24B housing, for example. Crimp and screw terminals as well as Han-Quick Lock can be used for creating connections. Housings are equipped with cable outlets for thread sizes M20 to M40. Extremely robust metal locking levers are used to lock the connector and can only be released with a tool, preventing it from being opened by accident in an explosive atmosphere. Compared to hardwiring, users of Han Ex connectors can increase the flexibility of their application, reduce down-time to maintenance work and increase installation safety. This is particularly applicable for explosive atmospheres in the mining and chemical industries and process automation.